Understand which type of step a outlook user should take in case of outlook ost file corruption .These are the helps & caution that a user should apply during sudden shut down of outlook or data corruption . Go for online help and search for outlook ost file data recovery software .Many of popular application will display like as Atom TechSoft outlook ost to pst data recovery software . 1*Choose one and take instant download of this ost to pst file recovery software . 2* Install and run software .Note :-Outlook create a default data backup file in computer drive in which complete ost mails backup keep as save .Browse that file to the software if you know its location manually otherwise software will do this job automatically . 3* After adding the ost file .Process software by clicking on recover button .This click will recover corrupted ost file data in healthy mode . 4* After recovery of file process software for conversion in which software will convert ost file into outlook pst file format . 5* Now your corrupted ost file data ready to open in outlook with new pst . If any query come in your mind .So please ask to us and get 100 % satisfied answer from our support manager . 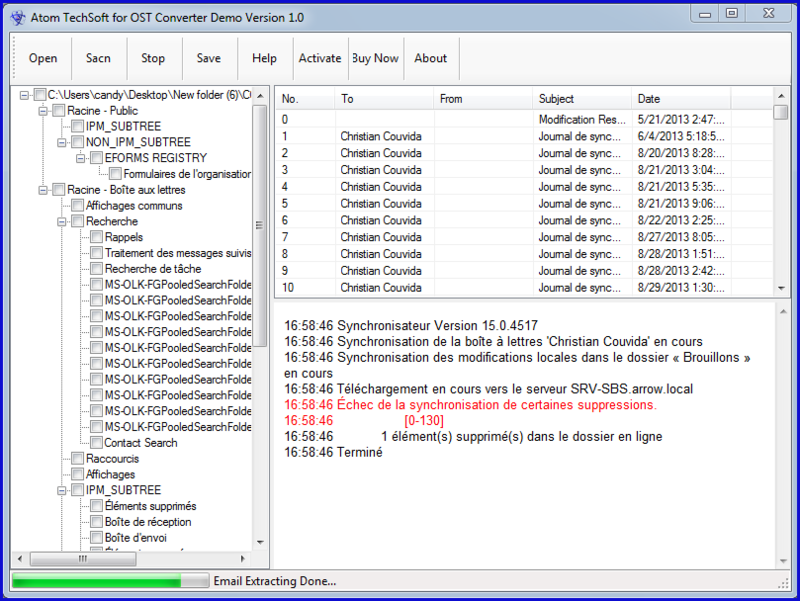 OST File Recovery Tool efficiently recovers corrupt Outlook OST Files.